Uneven distribution of life is a dominant feature of the city. Major social, economic and spatial divisions are apparent in terms of income and wealth, health, crime, housing, and employment. This text offers an introduction to current processes of urban restructuring, geographies of division and contemporary conditions within the city. The geography of Britain's cities is the outcome of interaction between a host of public and private economic, social and political forces operating at a variety of spatial scales from the global to the local. A deeper understanding of the nature of urban division and of the problems of and prospects for local people and places in urban Britain must be grounded in an appreciation of the structural forces, processes and contextual factors which condition local urban geographies. 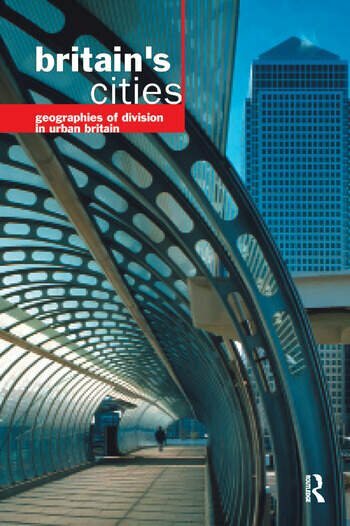 This book combines structural and local level perspectives to illuminate the complex geography of socio-spatial division within urban Britain. It combines conceptual and empirical analyses from researchers in the field.